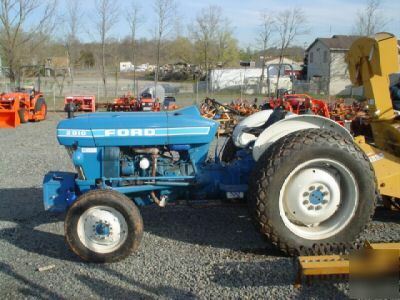 Used Ford 2810 2wd. features include 8/2 forward and reverse gears, front weight kit, and turf tires. Standard Cat 1 three point hitch with rear PTO. Tractor was garage kept and in excellent shape. Any questions please contact Tom Martin at .